With a raw diet, as important as what’s IN the food is what’s left OUT of it. 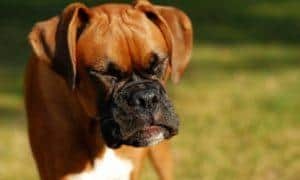 We only nominated brands that are free of preservatives, hormones, antibiotics, unhealthy grains and fillers, choosing only brands that provide wholesome, natural, whole raw foods for our pets. 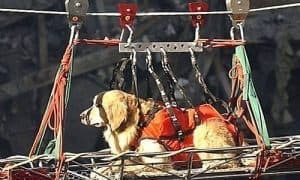 On the advice of her veterinarian, Marie Moody, the founder and president of Stella & Chewy’s began feeding her ailing dog with a raw meat diet at home. After vast improvements in Chewy’s health and vitality, Marie sought to make a commercially available product as good as what she was making at home. 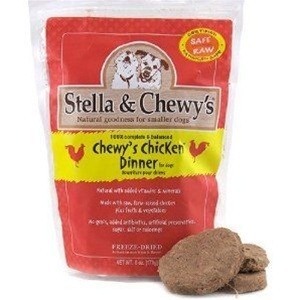 Stella & Chewy’s natural raw dinners are available in a variety of mouthwatering flavors like Stella’s Super Beef, Chewy’s Chicken, Duck Duck Goose, Dandy Lamb, Surf ‘N Turf, and more in both frozen and dehydrated versions. With an ingredient list that reads like your own healthy grocery list, Stella & Chewy’s uses only naturally-raised meats from USDA-inspected facilities, organic fruits and veggies, and healthful probiotics, essential vitamins, and minerals. They leave out all the stuff your dog doesn’t need, like grains, fillers, preservatives, and colorings. What’s more, Stella & Chewy’s makes feeding raw more convenient than ever before with already-portioned disks – just thaw and feed! 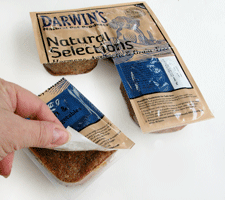 Or, if you’re feeding raw on-the-go, grab a pouch of their freeze-dried food and just add water. In addition to providing top-notch nutrition for our dogs, Stella & Chewy’s is dedicated to pet welfare and the humane treatment of animals through a myriad of charitable donations. To learn more about Stella & Chewy’s or to learn where to buy, visit www.stellaandchewys.com. 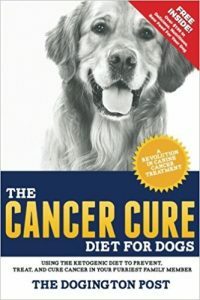 Veterinarian developed and lab-tested to meet and exceed AAFCO guidelines, Darwin’s Natural Pet Products’ mission is to help dog owners provide the best nutrition for healthier, longer lives for their pets. They achieve that mission by providing a convenient and affordable way to feed healthy, raw, grain-free meals. Only USDA-inspected human-grade meats and farm fresh vegetables go into their diets. No grains, no additives, and no unnecessary fillers. 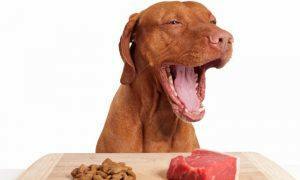 Darwin’s delivers all the benefits of a raw diet with the convenience that busy pet owners appreciate. 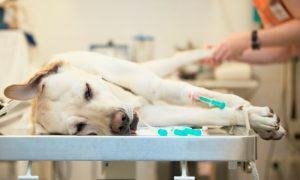 One of dog owners’ biggest obstacles when choosing to feed raw is the cost. 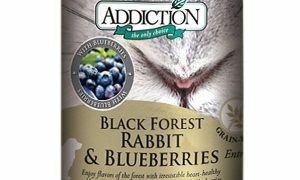 Darwin’s sells their food direct-to-consumer, at wholesale prices, to enable more pet owners to afford a commercial raw food diet. Plus, selling direct to consumers allows for the shortest time between the farm and your dog’s bowl, while ingredients are at their freshest. 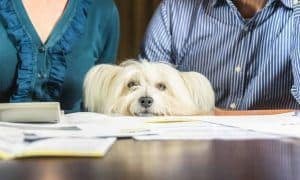 They make it easy for you by delivering direct to your home, on your schedule, tailored to your dog’s individual needs. With meals like Chicken, Duck, Turkey, Beef and Bison, you’re sure to find a flavor your furkid will love! 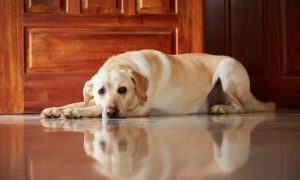 To learn more about Darwin’s Natural Pet Products, visit www.DarwinsPet.com. In 1985 two forward-thinking women from Michigan mixed up the first batch of Sojos in their own kitchen. The first product, Sojos Original, was based on the teachings of Juliette de Bairacli Levy, considered the grandmother of herbal medicine. This first-of-its-kind pre-mix was soon followed by tasty gourmet treats. Now located in Minnesota, Sojos is a family-owned business providing health-conscious pet consumers with “Homemade Pet Food Made Easy” and spreading the word about the benefits of switching from an over-processed, by-product ridden pet food diet to one using fresh, whole foods like fruits, vegetables, herbs, nuts and fresh meat which are rich in real enzymes, vitamins and minerals. 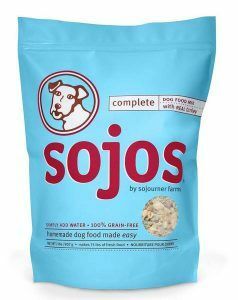 Sojos offers a pre-mix that you add your own raw meat and water to for a fresh homemade diet or a complete food, made with freeze-dried real meats, that you simply combine with water. 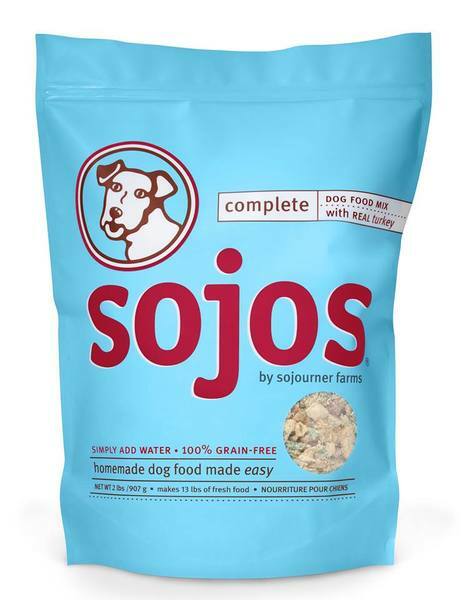 Sojos dog food is made from scratch with REAL ingredients. No fillers, no preservatives, and no artificial colors or flavors. Just simple, honest things like you’d find in your own kitchen. Learn more about Sojos by visiting www.sojos.com. You should try our dog food! Farm to table for dogs is an understatement! 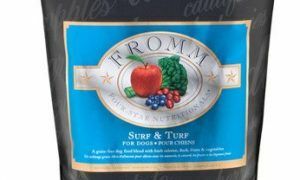 At Mama’s Choice 100% Natural Raw Dog Food we use only local farmers, natural turkey and only organic fruits and vegetables from our local grocers and farms. All other products Org. Brown Rice and Org. Millet come from our local food coop op making our product a local sustainable product using less of a carbon footprint on our mother earth! We are small and we do all our sales and delivery ourselves. This is our 2nd year and we love it and are doing very well. Great job Dogington Post creating awareness for healthier food alternatives for our pets! Stella & Chewy’s is a great choice, because the company goes beyond selling the raw diet, and gives back to the community.